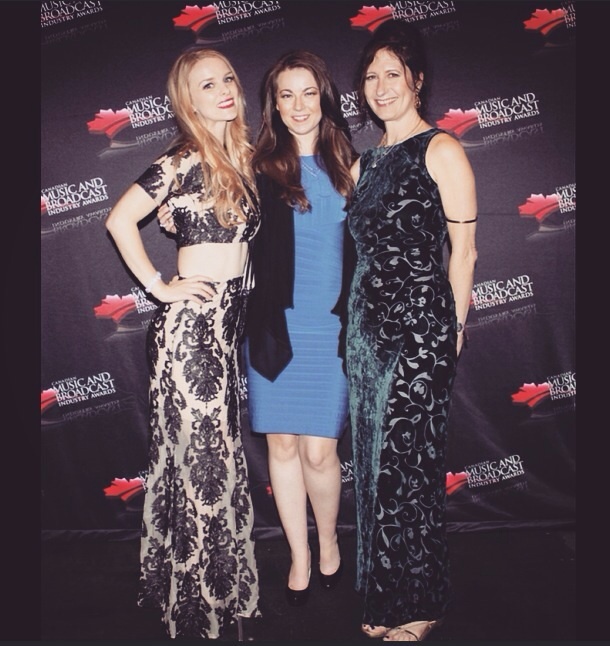 I had a blast at Canadian Music Week 2015! Thank you to Winnipeg country artist and my best friend, Ashley Robertson for having me sing with her on her showcase at the Cadillac Lounge. The most amazing part of CMW for me was of course to sing and play fiddle at a music festival in a new city. Toronto felt for me a little like London and little like New York, and from spending 4 months in Nashville, (which is hardly a pedestrian friendly place) I LOVED walking. I could walk all day and left my friends somewhat behind me. I had a renewed energy for city life. One thing that really threw me was the different colored squirrels, yes who knew there were more than just grey and red squirrels?! Toronto’s green spaces are full of them. It was great to sing in the country music showcase my friends Raquel Cole, Runaway Angel and Twin Kennedy were all so fabulous and really are worth checking out. Not to mention the reason I was there, the lovely and talented Ashley Robertson. Ashley and I were honored to be able to attend the CMW Music and Broadcast awards featuring the legend that is Bryan Adams. I wore my favourite new 2-piece by ‘for love and lemons’. Such a fab night honoring lots of hard work and dedication to radio and broadcasters in Canada, a really great evening. Sometimes Music feels like it makes the world go round, so far I’m so completely swept away by how much can happen by saying yes and putting one foot in front of the other. CMW felt like that to me, now sitting in nashville I feel renewed and bursting to create and record. Hopefully I’ll get to come back to Toronto again someday soon.